Whiplash Movie is Case Study for Terrible Leaders – StratGo Marketing. Plug-in marketing department services. So says tyrannical band leader Terence Fletcher, brilliantly portrayed in an Oscar-winning performance by actor J.K. Simmons in the movie Whiplash. J.K. Simmons (r) and Miles Teller in Whiplash. Credit: Sony Pictures Classics. The psychological thriller provides a springboard into a number of rich discussion areas, including leadership and coaching. I can see this movie being used as content in business schools and corporate training sessions to help teach leaders what not to do. For example, toward the end of the movie, emerging drummer Andrew (Miles Teller) is conversing with Fletcher. The topic is just how far a leader can go to get the best out of someone, and via what methods. Andrew asks if there’s a line that shouldn’t be crossed. It’s clear he’s referring to Fletcher’s button-pushing, take-no-prisoners approach to make people the best they can be (according to him). The response: No. On the flip side, Whiplash also offers a perspective and commentary opportunity on the person who is driven to succeed at all costs, even submitting to mental torture to be accepted and get ahead. That’s a topic for another time. For now, don’t be like or tolerate the Terence Fletchers in your world. Life is too short. There are wonderful ways for leaders to coach, inspire, encourage, stimulate, evaluate and properly push towards growth, self-realization and team success. That’s the way to do it! 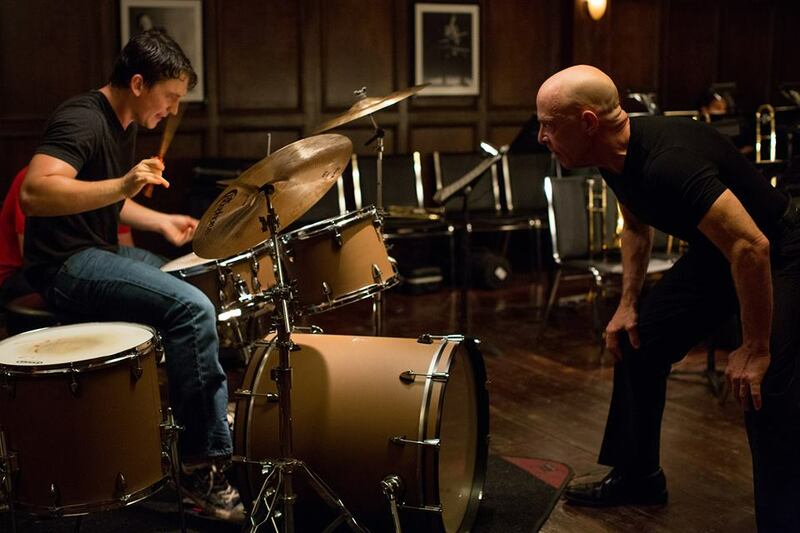 The movie Whiplash explores the tortured relationship between an aspiring drummer and his sadistic band leader. It’s everything we don’t want to see in corporations, organizations and teams.